Rakka isn’t only a mash up dj, his history is mashed up itself: born in Ghent (Belgium), growing up in Spain, having Russian blood running through his veins…This background and his Master degree in philosophy made him look to the world and music in a different way. As a youngster, he had a choice: starting to take those Psycho stimulants or putting all that hyperkinetic disorder energy in his music. And so he did. At the age of 14, he locked himself up, practicing 14 to 18 hours a day. Scratchin’ and beatmixin’ until the sweat dropped on his mixer, creating a musical fire with his very first ‘big love’: the Jamaican dancehall from the golden era. Those corner stones made him the performer he is nowadays: the one and only mash up energy bomb that kills with ill skills! Expect the unexpected! Rakka combines all kinds of music, starting with the most impossible first. From Dancehall, Urban and Classics, to Rock, D’n’B and so much more. But Rakka isn’t the average party-dj. He never plays hits, only anthems. He represents Jamaican music in all of his sets but he isn’t a ‘sound system’. Armed with 2 of Belgium’s fastest hands, a crate full of dubplates from artists such as KRS One, NAS, Shaggy, Diana King, … and tons of energy, he rocks the crowd like no one else does. Rakka is an entertainer behind the decks, blasting everyone away everywhere he goes! 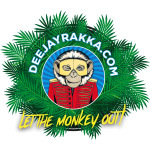 Rakka shared decks with living legends such as Diplo, David Rodigan, DJ Marky, Daddy K, Adam F, Black Chiney and so on. He rocked stages at Polé Polé, Reggae Geel, Antilliaanse Feesten, Summerjam (DE), Afro Latino, Elements Festival and many more! He played at clubs all over Europe, from France over Italy and Spain to Germany and the Czech Republic. When you see him step into the dj booth… Run for cover, because a bomb is about to explode!